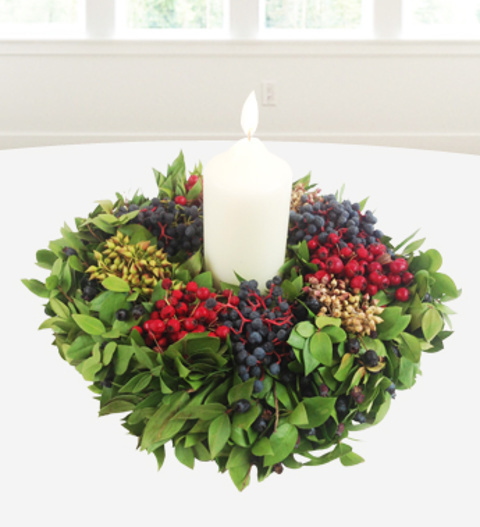 A Traditional classical arrangement of festive green and winter berries, beautifully displayed with a nested Christmas candle. Our Christmas Candle Wreath is one of our most popular Christmas gifts, embracing the true Christmas traditions of this festive period. Included is a FREE box of Belgian chocolates. The Christmas Candle Wreath is available for UK next day delivery. Chocolates may contain nuts.